I came across this Atico Madrileno (usually the top floor apartment with a roof terrace) yesterday while browsing Nuevo Estilo. 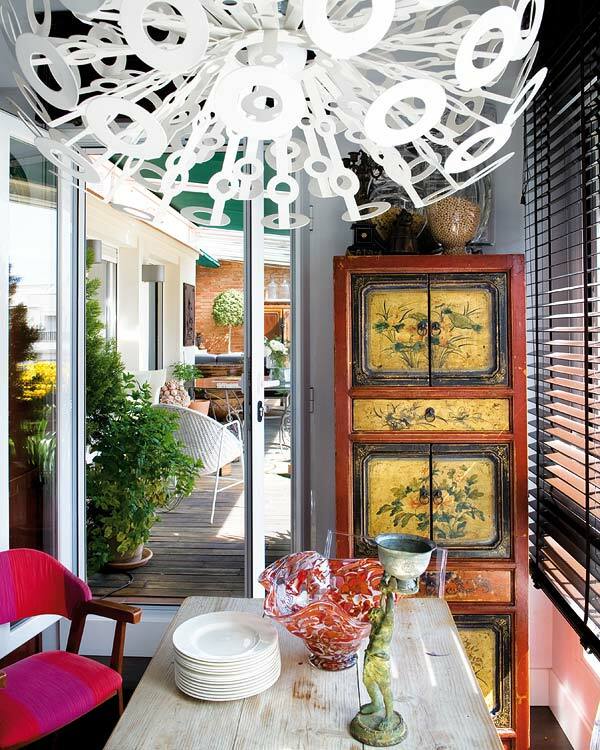 This apartment surrounded by an indoor patio was renovated by Interior Decorator Pedro Rubio, unfortunately he doesn't have a website to get lost in. The home owners who are frequent travelers asked for a dynamic home where they could enjoy different seating areas, bring in family pieces and display their travel collection. The result was a mixture of different styles and characters using classic and modern furniture with exotic African elements and central Asian textile (suzani). 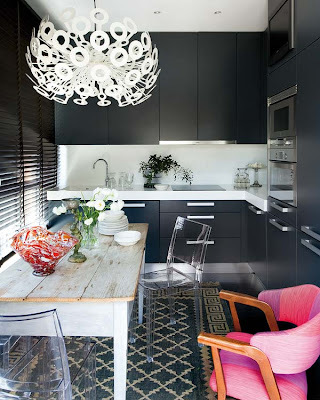 One of my favorite elements on Spanian Interiors is how they enhance or improve the architecture of rooms by incorporating such elements as modern panelings, lacquered walls, geometric painted floors and graphic sliding doors making rooms look more dynamic and interesting. The cozy yet sophisticated library and family room. 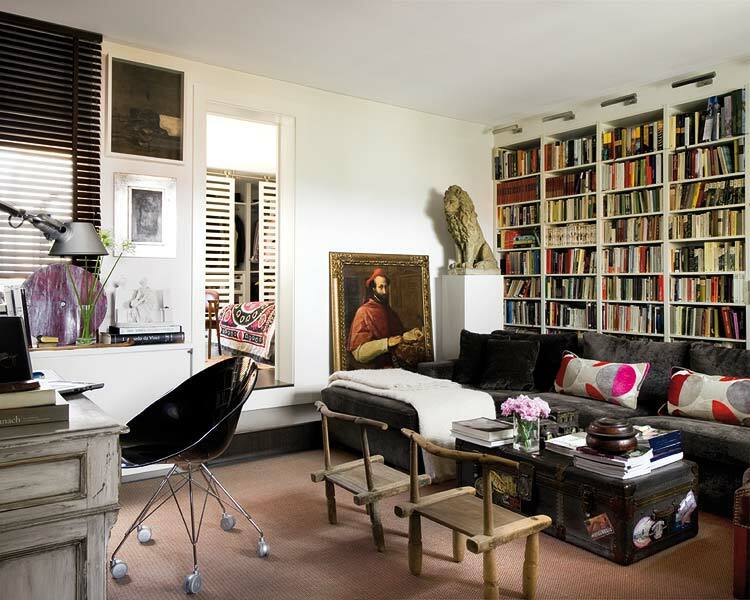 Those bookcases and those Amalfi Coast chairs really make the room. 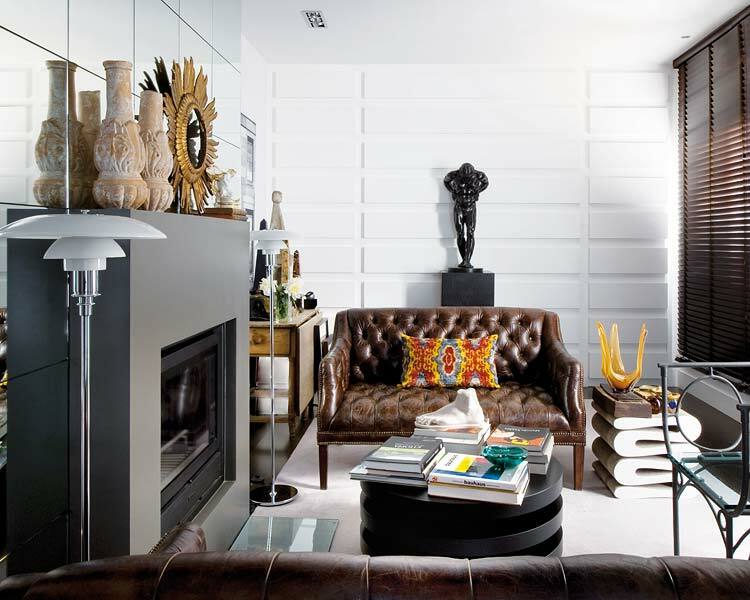 The mirrored fireplace-wall contrasts with the adjacent modern paneling. Love how the use of the round cocktail table facilitates the flow. The Wiggle Stool by Frank Gehry seems to blend in effortlessly with the tones of browns and grays in the living room. The kitchen table used to be an ironing table and its now, together with the head fixture the focal point of the room. The graphic sliding doors contrast the modern wood paneling. A modern architectural enhancing element that's easy to replicate. 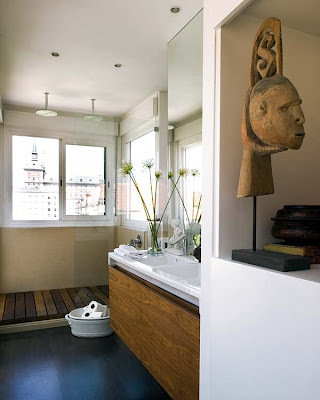 I love seeing examples of small bathrooms that are both functional and beautiful. 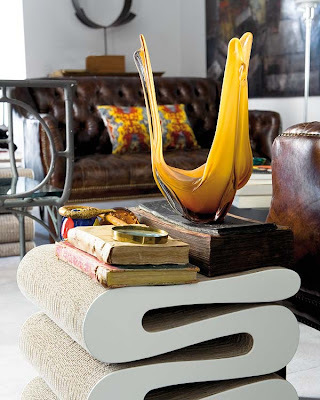 You have read this article intelligent eclecticism / Nuevo Estilo / Pedro Rubio with the title Classically Contemporary. 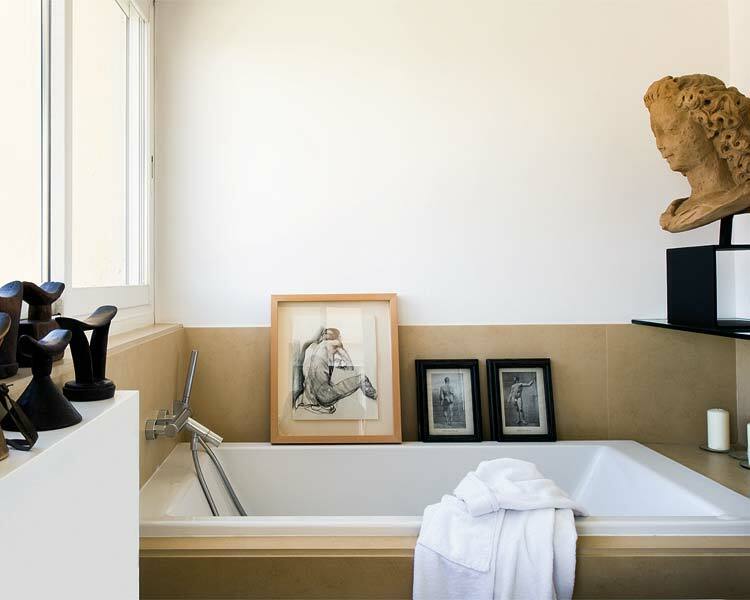 You can bookmark this page URL http://ourpicturewindow.blogspot.com/2010/11/classically-contemporary.html. Thanks! No comment for "Classically Contemporary"